Accessory designed to protect the instrument from thick, viscous and/or aggressive fluids. 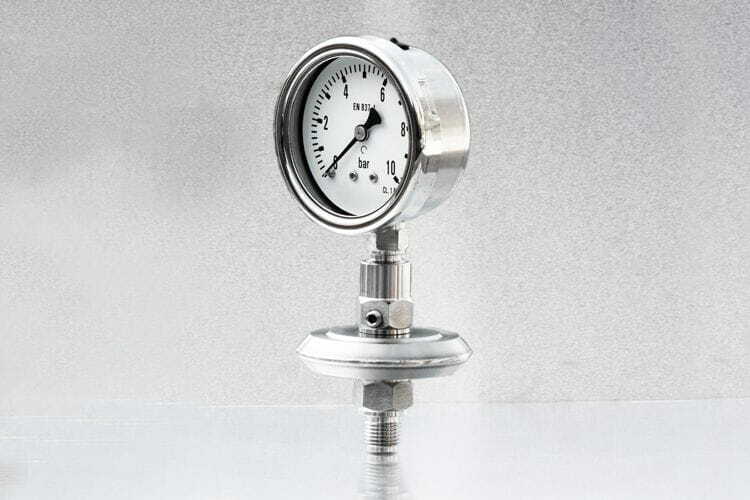 Economic model for assembly in combination with pressure gauges, pressure switches and pressure transmitters with ¼ "connection thread. It is not removable for cleaning. Body and welded diaphragm in stainless steel, without gaskets. Suitable for ranges from 0-1 bar up to 0-16 bar. Diaphragm seal for instruments ¼"